Here, we will introduce the best video/audio files to help you recover deleted or lost music MP3 files easily. How do I recover deleted MP3 files? How to recover lost MP3 files from computer/MP3 player/memory card? You may look for the best solution to help you recover deleted MP3 files. On the following content we will introduce the best MP3 video recovery software to recover deleted or lost MP3 files easily and effectively. The MP3 file can be a music or audio file which stored on your computer and MP3 player/CD/DVD, mobile phone, iPod or other storage media. The MP3 file will get lost due to the device got damaged or corrupted, accidentally deleted or lost, formatted hard drive or SD card. 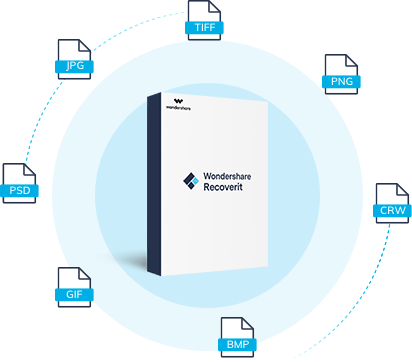 The most powerful and best MP3 video recovery software, we recommend Recoverit Photo/Video Recovery software, it is the best video recovery software to help you recover deleted or lost MP3 files easily and effectively. Recover MP3 files from any storage device dud to any data lost scenario. Recover deleted MP3 files from PC/laptop/Mac, external hard drive, USB drive, SD memory card, mobile phone. Recover lost video due to accidental deletion, formatted card, virus attacked and devices system crashed. 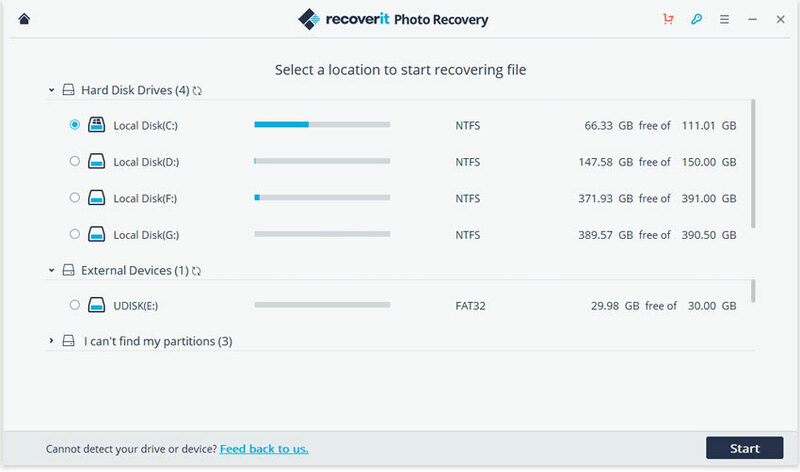 Download and install Recoverit Video Recovery on your computer, on the next tutorial we will perform MP3 files recovery on Windows computer. If you are working on Mac, you should download Mac version and go on. Connect your storage device which carry the MP3 files to the computer and follow the next steps to get started. 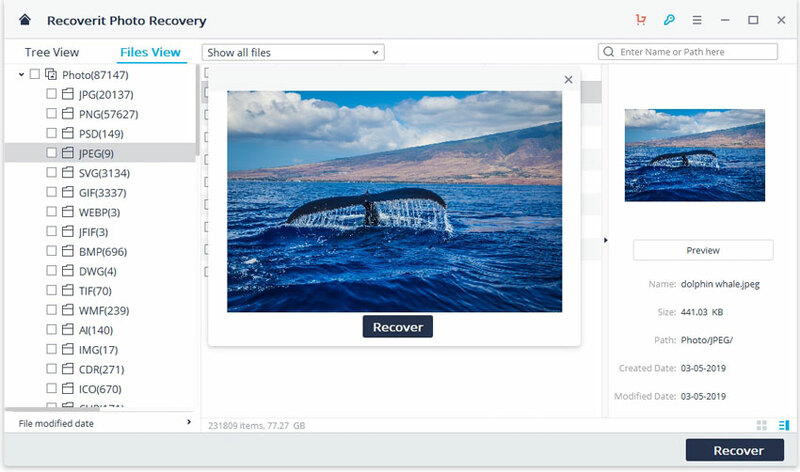 Step 1 Launch Recoverit Video Recovery Software, select a location where the MP3 files get deleted or lost and next. Step 2 The Video recovery program will start to scanning the device to search your MP3 files, it will take for your while to completed scanned. Step 3At last, you can preview some recovered files. Select your MP3 files and click "Recover" button to save them on a safe device. Do not save the recovered files to the place where you have lost them. Otherwise the MP3 files recovery might fail. Please select another drive or storage device to store them. If you want to recover found mp3 files during the scan process, you can save the scan result immediately or later. It is very easy lose MP3 files from storage devices and MP3 Players. In this case, you’d better back up MP3 files on your computer. 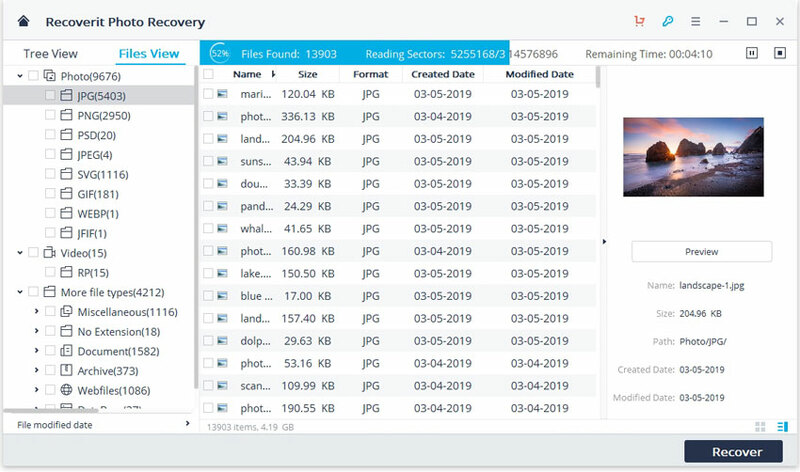 Once your got data loss issue, you should get the best data recovery software to help you and get the all lost data files back.